QATAR. 2012. Doha. 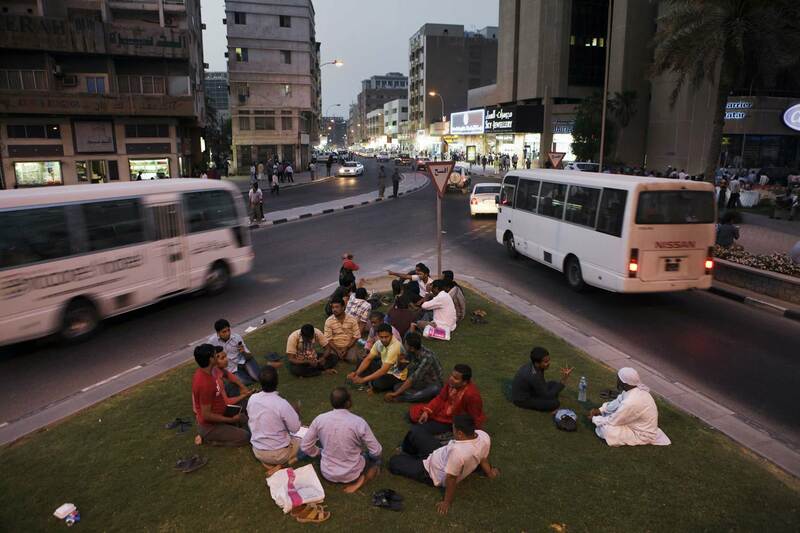 Nepali guest workers gather in whatever green space they can find in the evenings on Fridays, like this traffic circle.